The Buffalo Bills defeated the Tennessee Titans, 13-12, in Week 5 of NFL action. The Bills were committed to the run game, as evidenced by their 43 total carries, but they weren’t exactly effective. It was positive that LeSean McCoy had 24 carries in this one, but he averaged just 3.5 yards per carry. A positive note is that McCoy did have a few runs in which he looked like he was back to his usual self. Specifically, the third-down catch and run late in the fourth quarter, in which he forced multiple missed tackles to bring the Bills into winning position. The run game was so aggressive in this one because it was clear that the Bills were trying to keep it simple for Josh Allen. Almost every passing play was either a short designed quick pass or screen, or one in which Allen rolled out in order to cut down on his reads. The good news is that he was effective at it. He missed on throws, of course, but there were no real bad turnover-worthy plays, which is a big positive for Allen. Cornerback Tre’Davious White is starting to get recognized by opposing offenses in his second year in the NFL, as quarterbacks have started to avoid him. White was targeted just one time against Tennessee, and that ball fell incomplete. Buffalo linebackers had an impressive outing against Tennessee. Matt Milano and Lorenzo Alexander were both all over the field, as they made multiple plays both in coverage and in run defense. Their solid tackling was a big key in the Bills not allowing big plays to the Titans. Quarterback Marcus Mariota had a tough day against Buffalo, as he struggled to get into a rhythm. The Titans signal caller forced some passes into tight windows, which also resulted in one interception and a couple passes close to being intercepted while he also had a fumble that bounced out of bounds. Backup offensive tackle Tyler Marz stood his ground against the Bills. Marz, who came in for the injured Taylor Lewan, struggled in pass protection, but he made up for it with several good blocks in the running game. Jurrell Casey was downright dominant in run defense for the Titans in this game. He was frequently double-teamed, but it didn’t matter, as he effortlessly made his way through blockers to make a play on the ball carrier. There were multiple plays in which Casey just tossed his man aside and hit the running back almost as soon as he got the ball in the backfield. The Bills had no answer for him. Adoree’ Jackson looked solid for the Titans’ defense in this one, seeing only a few targets all game and allowing just one completion. He was battling with the receivers he was covering, and that’s the reason he got the interception he did. This has been a solid start to the sophomore’s season, and Sunday’s game was no different. The Bills’ defense was the key to this game, making key stops, a couple of sacks and forcing two turnovers. Their linebackers were all over the Titans and prevented any big plays that might have changed the game. 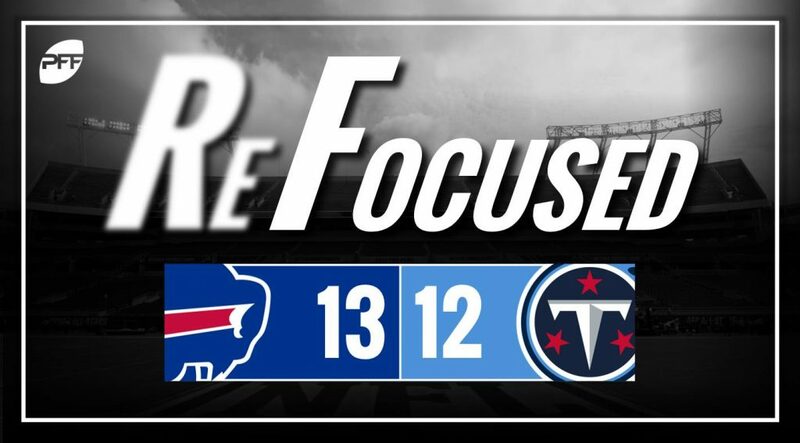 Buffalo’s linebackers played a huge part in limiting the Titans’ offense, while Mariota was not accurate enough this afternoon to get the Tennessee offense going against the Bills.